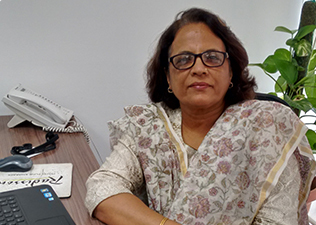 Seema is a Post Graduate in IR & PM, with 25 years of experience in the corporate world. She is an HR professional and has done extensive work in that function, which includes recruitment, performance management, employee engagement, mentoring and counseling. She has worked in organizations like Eicher, Benckiser, HCL and American Express. She has been working as an independent consultant since the past 5 years and has been engaged in free lance HR assignments and corporate training. She has partnered with companies for managing their HR processes, which include designing/customizing policies, recruitment, employee retention programs. She can design training programs and has facilitated many training programs for organizations like Nestle, Vodafone, and Hewitt, to name a few. She has done competency mapping for organizations and is an assessor for Development Centers for companies like Vodafone, Tata Sky, Pernod Ricard, Frito Lays, etc. Seema is based in Delhi and is a Senior Advisor, HR with YFactor.